Well, the time as come to part with one of the guideboats I have built. There are three in the garage under the house so they are a bit stuffed in there. Besides there is another being built. 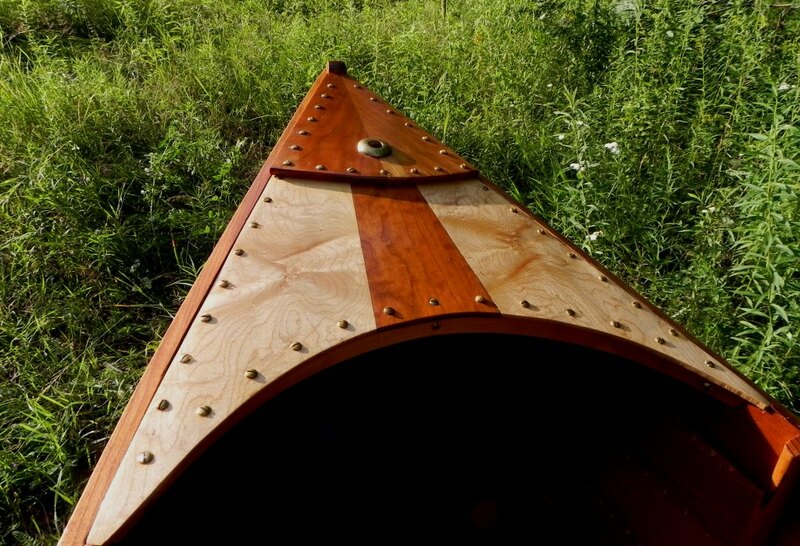 After much agonizing I have decided to sell Thankful, the latest guideboat in the stable. It was a difficult decision since I revere them all. Anyway, here is the story on Thankful. 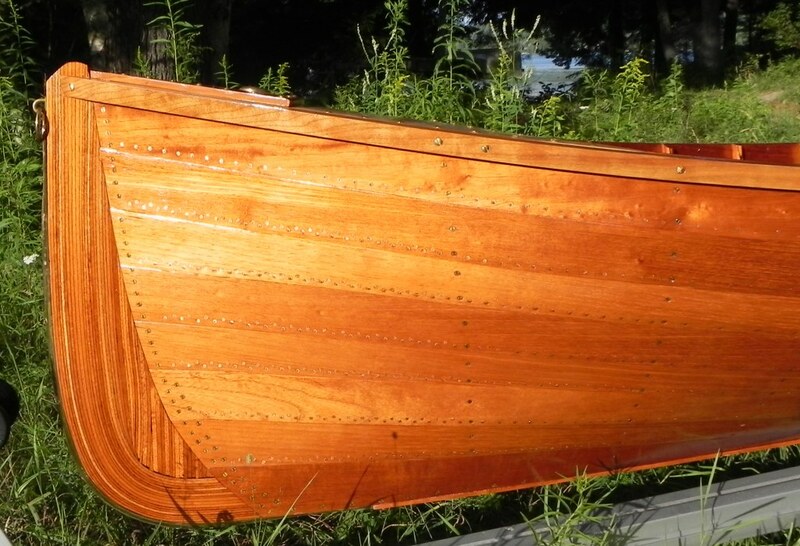 Spanish cedar planking with inter-plank joinery sealed with tiny copper tacks driven and clinched every inch to render the hull watertight. 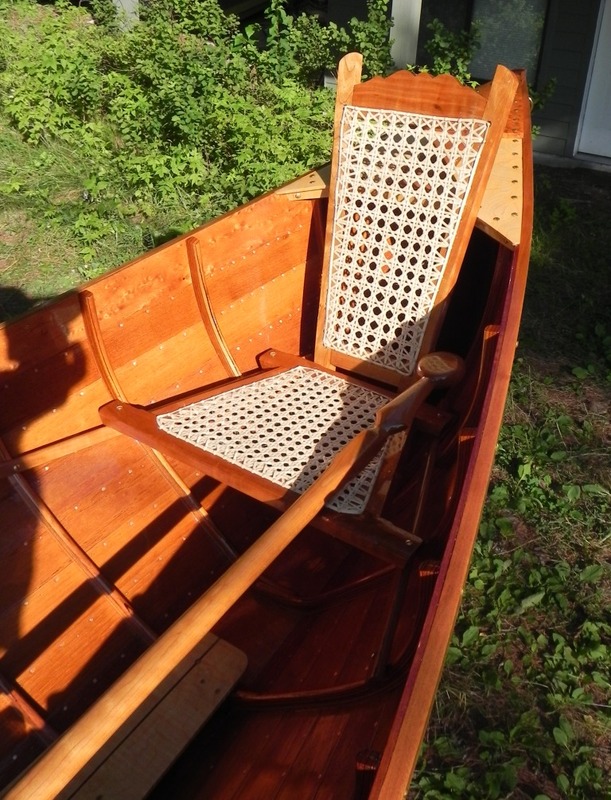 Hand caned seats and seat back, all made of cherry. Decks of bird’s eye maple and cherry. Panels are “book-matched” to give an unusual figure. 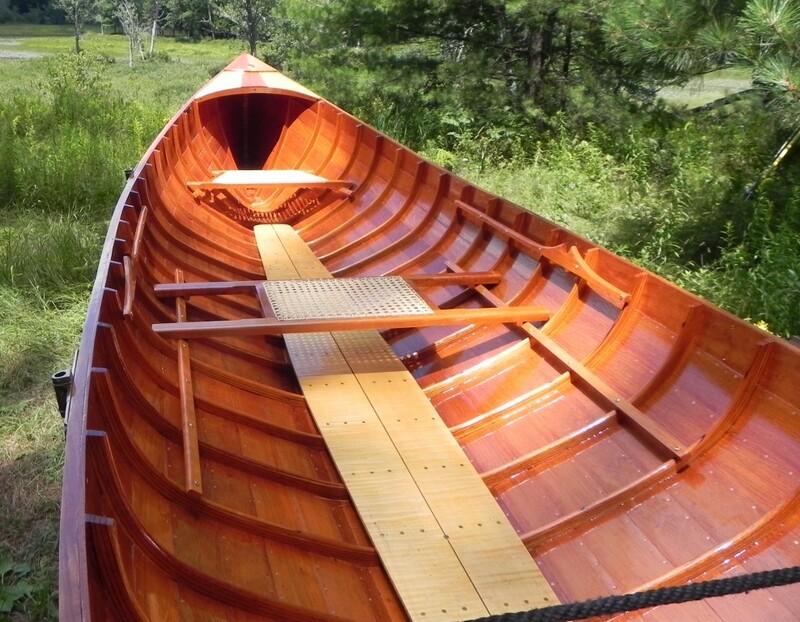 Five coats of marine spar varnish to protect against moisture and UV radiation. 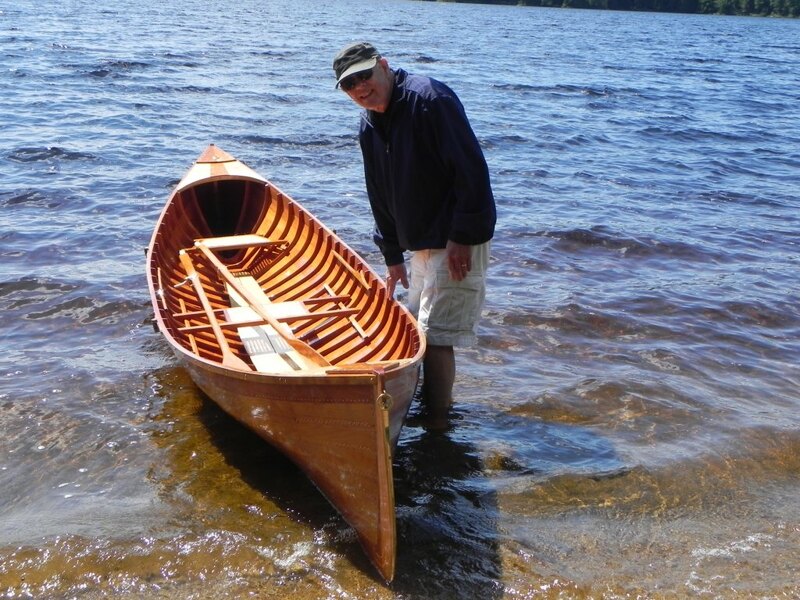 Traditional guideboat oars of cherry 8 feet long. An authentic reproduction of a Chase guide’s paddle, made of cherry. Length overall: 15 1/2 feet, Beam 38″. Weight: approx. 65 lbs. Price: $7000. If interested call me, Gordon, at (302) 690-3280 or email me at gordonfisher1@verizon.net. Here are some photos of Thankful. Thankful upon launching on Rich Lake in Newcomb, NY.